The Crown Collection features gorgeous contemporary and transitional plush pile area rugs. Striking artistic patterns and designs are woven in a variety hues. They are versatile and will fit every type of decor and enhance any room in your house. Mid-century chic! The Stella collection is a luxurious silky rug to the eye and touch. Beautiful distressed antiqued backdrop, brought to life with subtle patterns and hues. 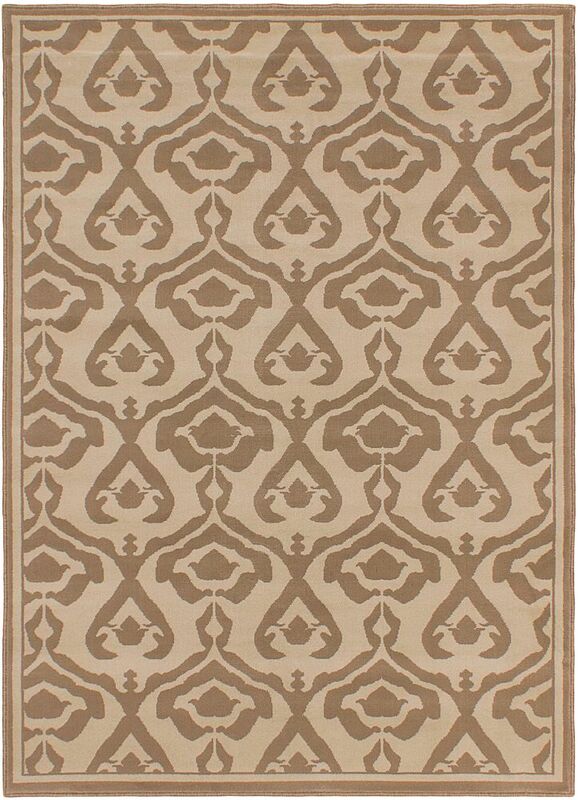 The beauty of this rug will add a perfect luxurious touch to your room. Made in Canada with high-quality polypropylene yarns. The Terrific Collection features striking contemporary area rugs power loomed in a plush pile of polypropylene fibres. Visually stunning patterns and designs are woven in a unique neutral palette of earthy colors. They are versatile and will fit very type of decor and enhance any room in your house. Crown Cream Ivory 5 ft. 3-inch x 7 ft.4-inch Indoor Area Rug The Crown Collection features gorgeous contemporary and transitional plush pile area rugs. Striking artistic patterns and designs are woven in a variety hues. They are versatile and will fit every type of decor and enhance any room in your house.